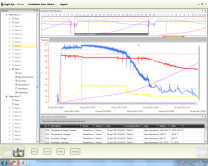 Petersime’s Eagle Eye™ is a revolutionary software package that allows hatchery managers to monitor and control their entire hatchery from one single Command Centre PC. 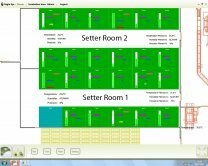 It provides an integrated solution for all of the key parameters and settings in the hatchery: incubators, room conditions, cooling water temperatures, parameters related to air handling, etc. 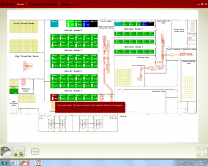 The hatchery displayed on the com­puter’s main screen is based on the actual layout of the hatchery. 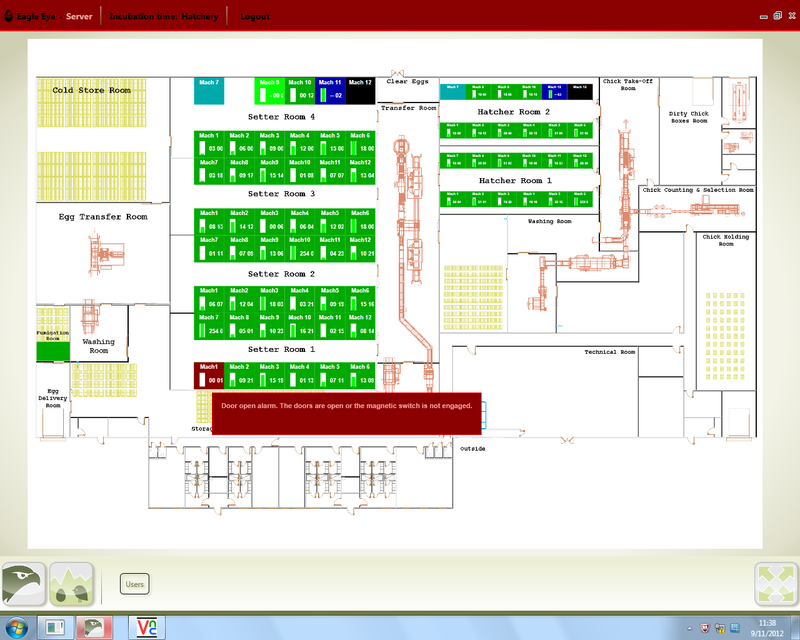 Eagle Eye™ features an immediate and complete overview of all of the alarms in the hatchery, allowing hatchery managers to interfere instantly. 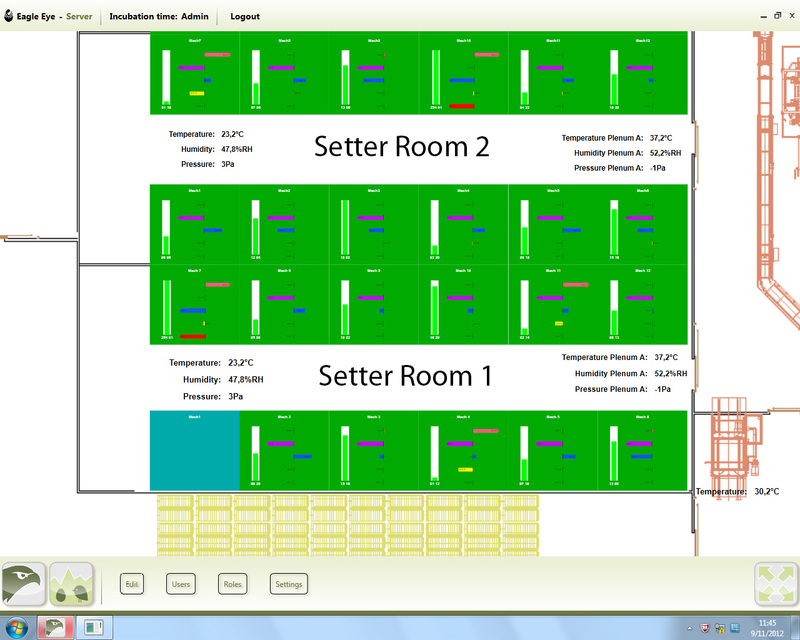 From the main hatchery layout screen you can zoom in to view the particular parameters of each room in the hatchery. This way, you can also easily access each individual incubator and monitor and control its settings. 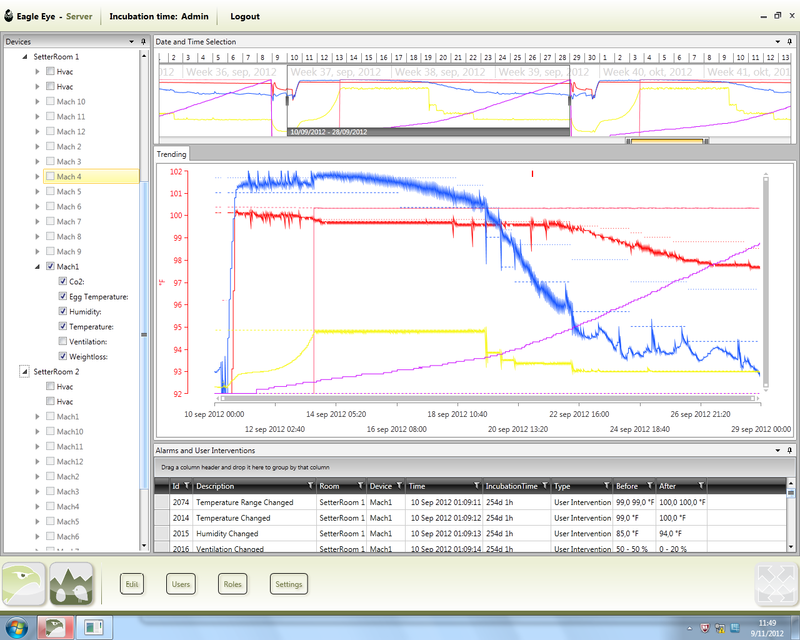 Using clear graphics, Eagle Eye™ helps hatchery managers to analyse the incubation and hatchery parameters over time. To guarantee optimal bio-security in the hatchery, Eagle Eye™ includes active filter control on the air han­dling systems. Moreover, the temperature and humidity in all critical rooms is continuously controlled so as to safeguard bio-security at all levels. The mobile app makes it easy to have access to the machine status and alarm overview when being outside the hatchery.